Dimensions: 29 Inches Wide, 84 Inches Long, 34 Inches High. 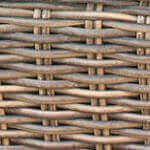 Made of High Density Outdoor Wicker! Multiple Positioned Adjustable Chaise Lounge with Wheels for maximum comfort. Includes a full flat position! 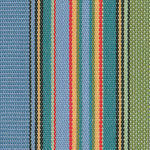 Customize your chaise lounge with 3 different finishes and many Sunbrella fabrics. 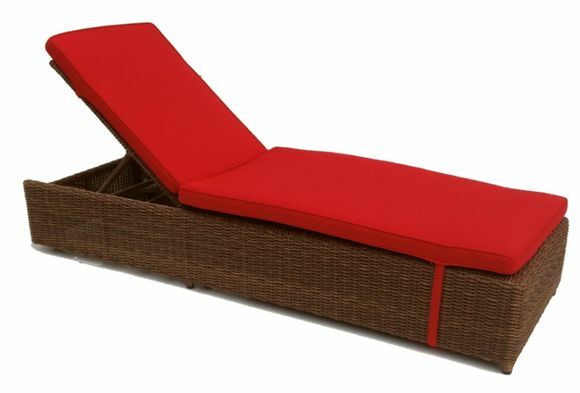 Outdoor patio scene of a pair of wicker chaises in Sunbrella jockey red fabric. Makes you just want to get cozy and adjust that patio wicker chaise in the your favorite position to soak up the sun! 29 Inches Wide, 84 Inches Long, 34 Inches High.